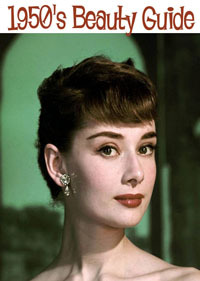 I love the look of the 1950’s and have done many shows with it, and always keep in the look out for reference sources. A really glamorous decade for women’s makeup. Creams were the in thing in foundations and shadows.It was the era of the ‘mask effect’. A thick creamy application of foundation and flesh colored powders to set. Eyebrows still a natural look but more tapered and feminine. Rouges were less emphasized than in the 1940s. 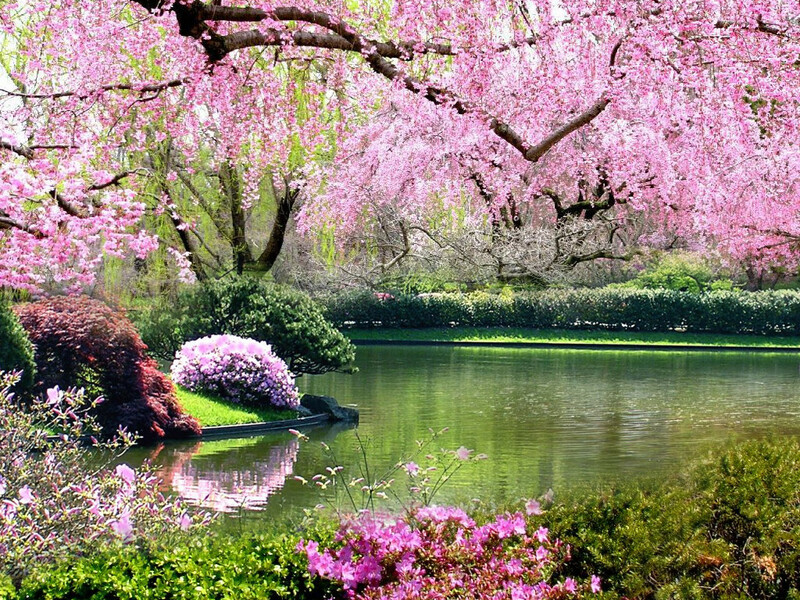 If there was a color to define the 1950s – it has to be pink. Pink hues in shadows and reddish pink lipsticks. 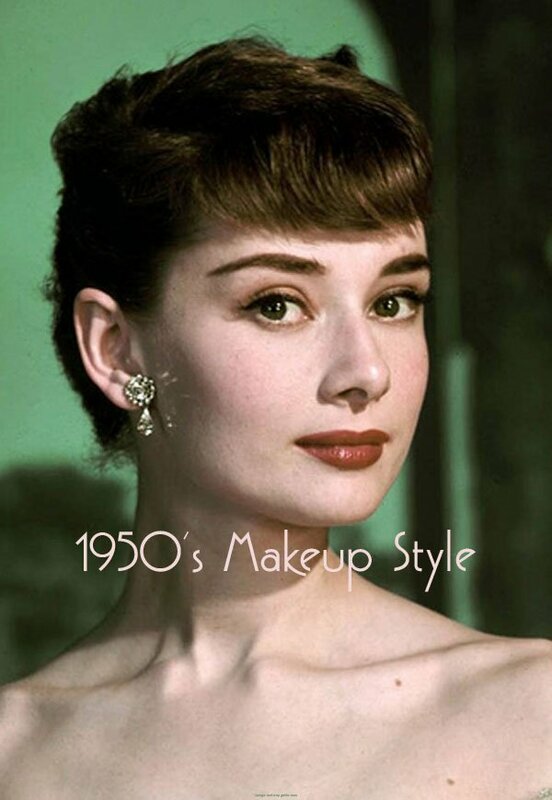 When you think of make-up styles from the 1950s.We think of ladies like Sophia Loren, Audrey Hepburn, Lucille Ball among many others, these women were not only fashion icons but beauty icons for women around the world. Their make-up looks defined the era, and it was without doubt the age of glamour ! beauty salons and powder rooms became hallowed sanctuaries for glamorous women. Max Factor was a very important brand in the history of cosmetics! 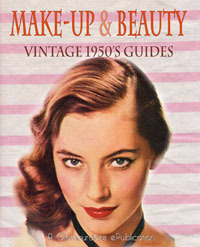 Max Factor began experimenting with various compounds in an effort to develop a suitable make-up for the new film medium. 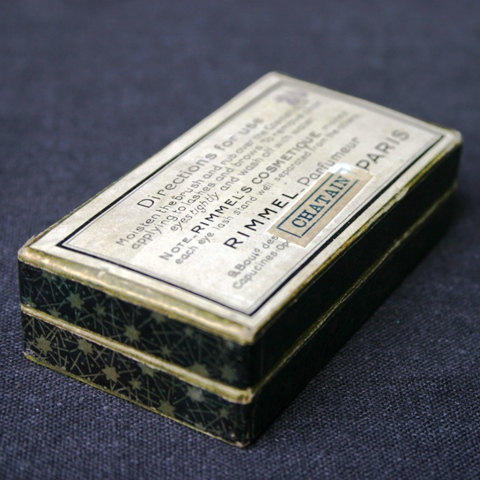 By 1914 he had perfected the first ever cosmetic with this major achievement to his credit, Max Factor became the authority on cosmetics and an innovator of his time. 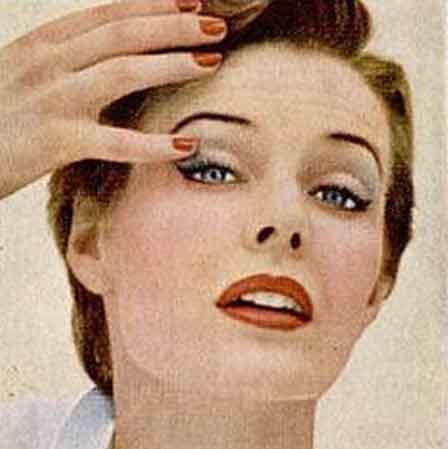 The development of Technicolor film in the 1950’s required the company to develop a new line of products as its existing panchromatic make-up left a slight sheen on the skin that reflected surrounding colors. 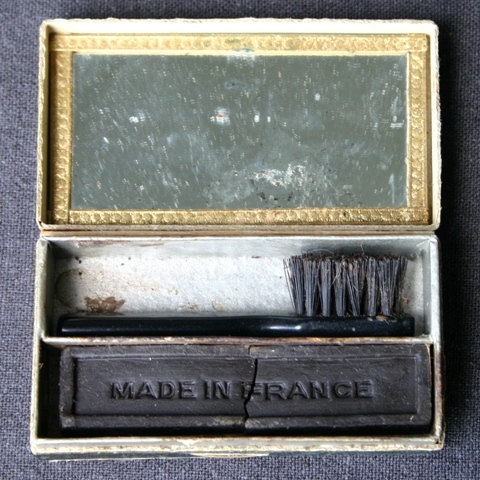 Max Factor developed the pan stik that was a desirable item both on and of the screen. 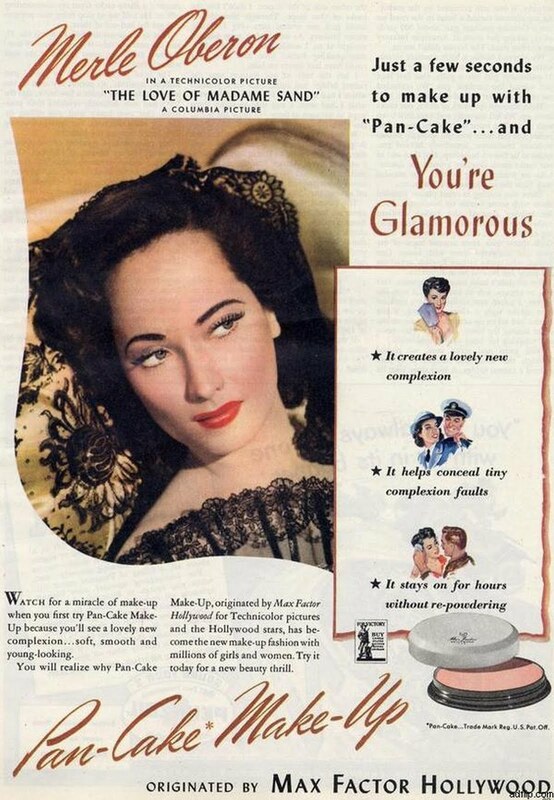 In 1947 after 26 months of development by Max Factor, Jr., the company released “Pan-Stik”; it was released to the public in 1948 and was a commercial success. This was the decade of the fashionable, glamorous homemaker. Women began baking apple pies and vacuuming the house in heels, dresses and fully made up faces. Cosmetic companies capitalized on this emerging trend and targeted ads towards married women who had to look good for their husbands. As in previous decades women took beauty inspiration from the big screen and the movie starlets of the decade, with the explosion of color, from the motion pictures in the 1950s women were now fully able to see the make up the stars were wearing and Technicolor showed up beautifully an array of cherry, fire engine red lips, warm bright blush and also the flawlessness of the skin. 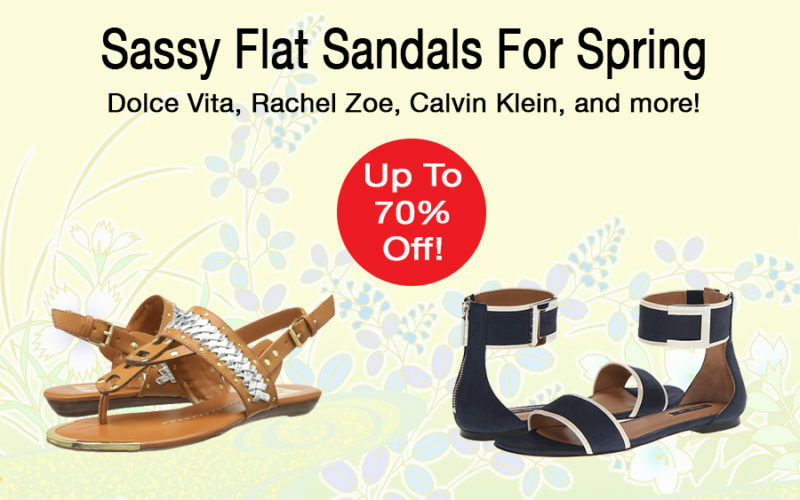 Women took this vibrant look and wore it day and night as a fashionable style of this period. Cosmetic brands were an important part of the process as now offering more choice than ever and more availability to the average housewife of the time. These cosmetic brands changed the face of the decade with the vibrant reds and cherries at the start of the decade and then with the addition of titanium to the products added to mute the colour’s we see more of a peach, pinkish tones towards the latter. Cosmetics and cosmetic science was and still is bigger than ever as companies are always looking for ways to improve a product or adapt an old classic to coincide with current fashions and trends. 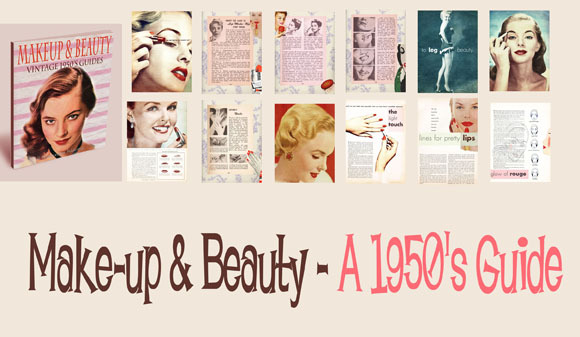 Some of the brands available today have been working their magic for years, below is a look at the popular cosmetic brands of the 1950’s and how they play an important role in beauty history! 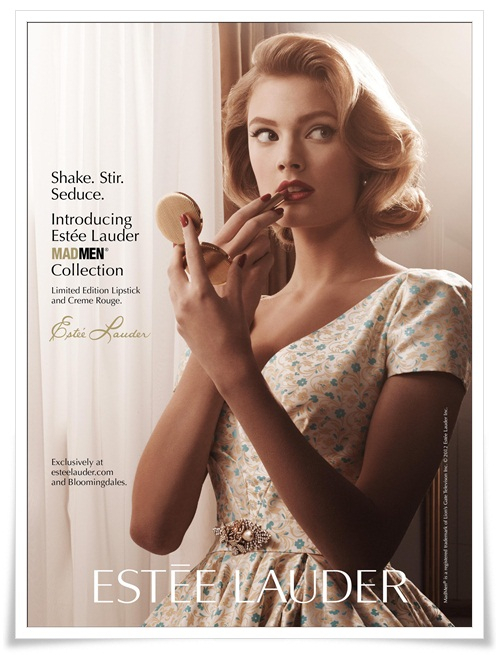 Estee Lauder began in 1946 in New York as primarily a skin care line with a hand full of products. 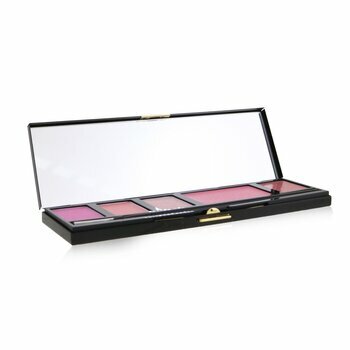 Joseph Lauder and his wife Estee expanded and in the 1950’s was the first company to introduce the free sample and gift with purchase, giving away miniature lipsticks, rouges, eye shadows, and face creams. 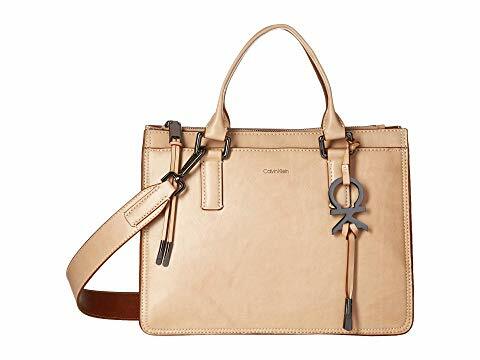 Today this plays a key role in our shopping experience and the companies marketing strategies. 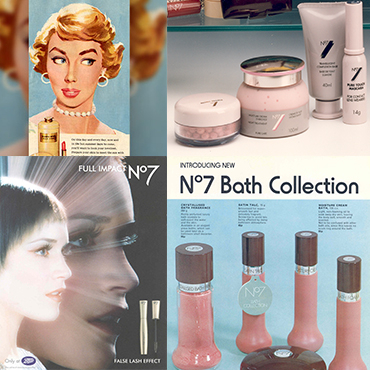 By the 1950’s cosmetics were a big business and advertising was a key role in the marketing of the products. Other important brands of the decade that sadly no longer continue to trade are Gala who added titanium to their lipsticks to give them a bright white appearance on application they also made a lot of mid tone colours in lipsticks. Goya was an important brand too as it was the first to develop the lip liner and offered a dual product for lipstick application. These beauty products were now also available for the masses and at the lower end of the price scale; Woolworths produced a more affordable lipstick line. 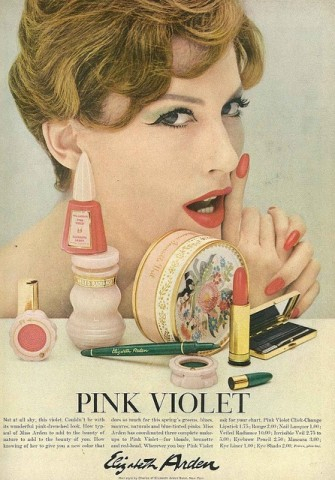 While Russian red was the favorite lip gloss color in the 1940s, it was pinks, purple-reds, and orange-reds which took centre stage in the early 1950s. 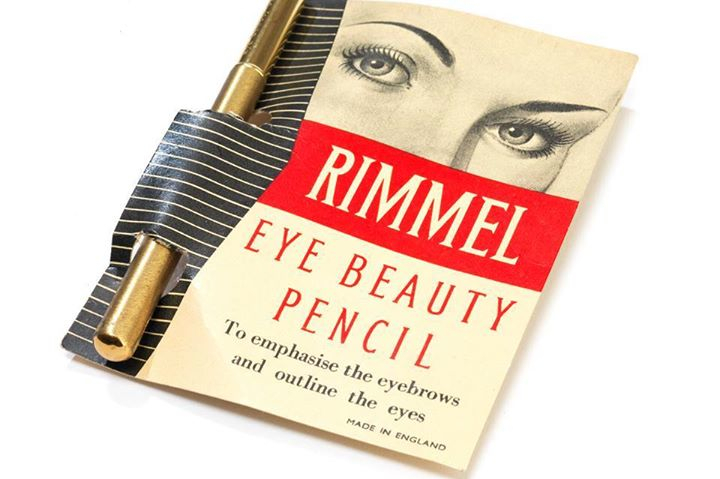 beauty books of the era spent pages and pages advising women on what make-up to wear, for what times of the day, and with with which costumes. The art was known as Color Keying – which does not exactly drop off a woman’ s lips nowadays, unless she works with video editors ! Lips – many tutorials advised creating a ‘smile’ effect with lipsticks. Achieved by drooping. Mascara from brand leaders such as Maybelline was an imperative cosmetic to have in your handbag. 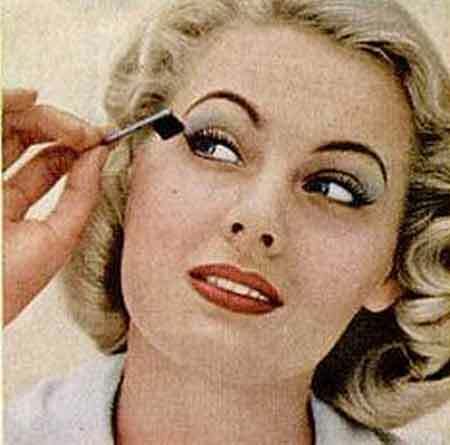 Though it wasn’t until the 1960s that women applied it again to lower lashes again [ as in the 1920’s ]. 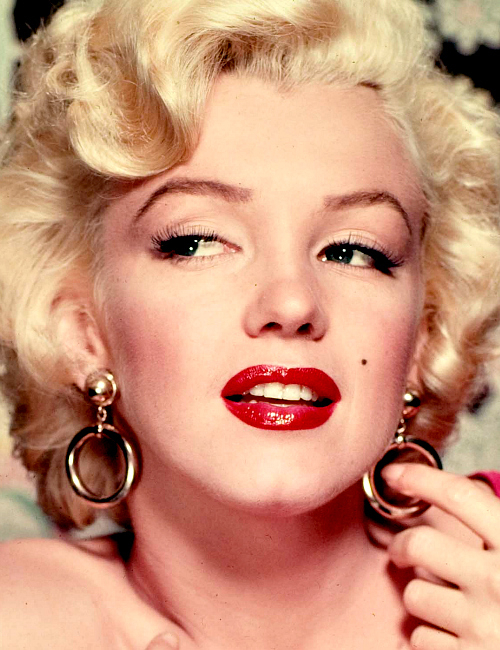 Loads of newly patented cosmetic tools like eyelash curlers and eyebrow stencils helped young women achieve the look of whatever starlet took their fancy. The Cat eye-line or the winged tip which defines the current retro pinup look – such a simple innovation, added real glamour to a girls eyes and was often preferred by women to a heavy eyeshadow look. • Beiersdorf introduces Ph5 Eucerin cream. • Chesebrough-Pond’s introduces Angel Face cream powder. • Clairol introduced Miss Clairol Hair Color Bath a hair-colouring kit. • Clearasil developed by Ivan Combe and the chemist Kedzie Teller (U.S.). • Dorothy Gray launches Lipstick Couplet lipstick; Liquid Cleansing Cream introduced; Dual-Purpose Emollient released. • Gala debuts Lip Liner lipstick. • Helene Curtis introduces Spray Net hairspray. • Max Factor brings out the World of Beauty line. • Northam Warren develops Cutex Pearl Brilliance nail polish. • Pacquin releases Silk ’n Satin all-over body lotion. 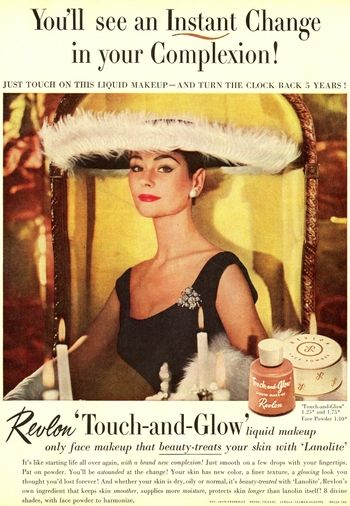 • Revlon introduces Touch and Glow, a liquid makeup; Nail-Fix, for mending broken nails; and Dreamy Eye Make-up. • Richard Hudnut begins selling Du Barry Cream Superbe and Richard Hudnut Formula A-10 anti-dandruff tonic. • Beiersdorf markets 8×4 Seife, Europe’s first deodorant soap. • Ivan D. Combe brings out Clearasil, a medicated acne cream. • Estée Lauder releases Youth Dew and Estoderme Youth-Dew Cream. • Max Factor introduces the Signature toiletries line for men and introduces soap and talcum powder to the World of Beauty line. • Peggy Sage introduces Hand Smoother and Softener Cream, Finishing Cream and Crystallin Finish nail polish. • Revlon introduces Indelible-Creme Lipstick. • Richard Hudnut Tru-Tint home hair colour released. • Paul B. Elder Co. introduces Benoquin (containing a monobenzyl ether of hydroquinone) to inhibit melanin production, the first preparation of its kind. 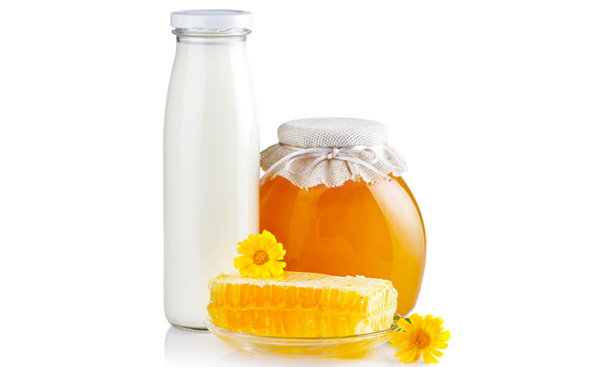 • Acetylated lanolin, made by American Cholesterol Products (later Amerchol) becomes commercially available. • Elmer E. Mills Corporation introduces the first plastic squeeze bottle that could be sprayed in an inverted position. 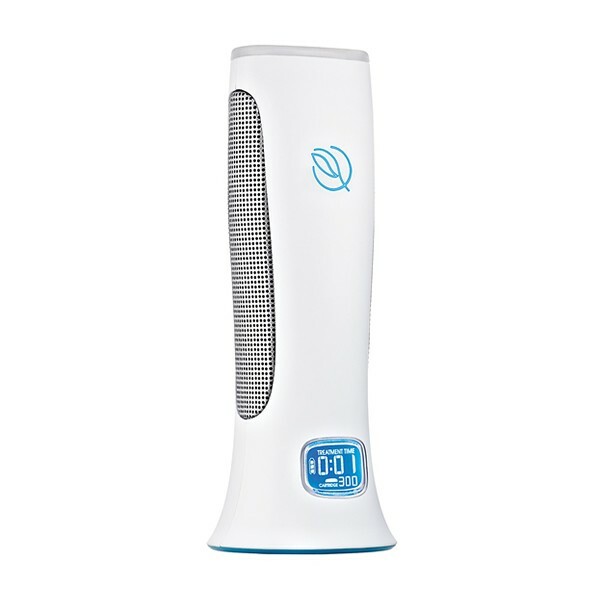 First used in Bounce!, a foot deodoriser. • Académie Scientifique de Beauté debuts Cover Cream, a liquid foundation. • Bristol-Myer launches Ban Roll-On deodorant. • Dorothy Gray releases Remoldine with and without hormones; Cellogen Cream with hormones developed. • Hazel Bishop introduces Complexion Glow, a liquid-cream rouge. • Max Factor introduces Color-Fast lipstick. • Northam Warren develops Cutex Stay-Fast indelible lipstick. • Revlon’s ‘Fire and Ice’ campaign starts with model Dorian Leigh. Introduces White Sable Liquid Cleansing Cream; and Second Nature, a liquid make-up base. • Richard Hudnut starts selling Du Barry Flatter Face compressed powder and Chen Yu Cloudsilk make-up and face powder. • U.S. Federal Trade Commission (FTC) gets agreement from advertisers that lipsticks can only claim to be ‘indelible’, ‘smear proof’, or ‘non-smear’ if the word ‘type’ was used with such descriptions. • Dorothy Gray Quick Cleansing Cream debuts. • Elizabeth Arden launches Arden for Men. • Estée Lauder launches Youth Dew Bath Oil. • Max Factor introduces Creme Puff make-up. • Orlane releases Gelée Royale containing royal jelly. • Revlon brings out Moon Drops Moisture Balm; Cuticle Massage Cream; Creamy Cuticle Remover; Love-Pat, a pressed powder-cream make-up; Waking Beauty, night cream treatment for dry skin; and Silicare, a hand cream. • Richard Hudnut closes the Du Barry Success Course and the Success School; Du Barry Flatter-Glo matt finish make-up introduced; Richard Hudnut Drystick cream deodorant/antiperspirant and Spray and Stay hairspray debuts. • Commercial television advertising commences in the U.K.
• Académie Scientifique de Beauté introduces Hydraderm Cream . • Hazel Bishop introduces Long-Lasting Nail Polish. • Juvena release their first cosmetics. • Johnson & Johnson releases No More Tears baby shampoo. • Max Factor develops a concealer Erace and a new make-up for RCA compatible colour television. • Pond’s Extract Company releases Angel Lips and Angel Skin Hand Lotion. • Revlon introduces Lanolite Lipstick; Build-Up, an astringent skin tightener; Silken-Net, a liquid hair spray; and Quick-Dry, non-smear nail spray. • Richard Hudnut releases Du Barry Liquid Treasure with vitamins A, D & E and Du Barry Penetrating Balm with hormones, vitamins and lanolin; Richard Hudnut Pink Suds skin cleanser for teenagers; and Gemey Teint Clair Fluide foundation. • Danish Society of Cosmetic Chemists formed. • Coty introduces Coty 24, a long lasting lipstick, and Preferred Stock, a toilet goods line for men. • Dorothy Gray develops Sili-Creme Lotion. • Lancôme releases their Ocean line. • Lever Brothers introduce Dove the first commercially successful synthetic detergent bar. • L’Oréal introduces Colorelle, the first colouring shampoo. • Max Factor brings out the Hi-Fi make-up range, and Sebb dandruff treatment. • Northam Warren releases Cutex Satin Cling Lipstick and Cutex Sheer Lanolin Lipstick. • Parfums Christian Dior produces its first cosmetics. • Proctor & Gamble launches Crest the first toothpaste to contain flouride. • Revlon releases Living Lipstick; Lustrous Lipstick; Superbase, a base coat; Lastron Nail Enamel; Touch and Glow Face Powder; and Clean and Clear, a liquid cleanser. • Richard Hudnut develops Du Barry Royal Treatment Cream with royal jelly and Du Barry Liquid Bloom complexion tint. • Clairol introduces Miss Clairol a home hair-colouring kit. • Dorothy Gray releases Satura Face Cream. • Eylure Cosmetics introduces Lipfix, a lipstick sealant. • Helene Curtis Industries release Purse/Spray the first refillable aerosol. • Helena Rubinstein introduces Skin Dew a moisturising emulsion. • Pacquin releases Anti-Detergent Cream hand cream. • Revlon introduces Futurama lipstick cases; Medicated Baby Silicare lotion; and Sun Bath, a sun tan lotion. • Richard Hudnut introduces Du Barry Lotion Superbe hand cream and the Du Barry Paradox line. • First CIDESCO Beauty Therapy Schools accredited in Belgium, Germany and Switzerland. • German Society of Cosmetic Chemists formed. • Purchase Tax on cosmetics dropped from 90 to 60% (U.K.). • Dorothy Gray Satura Sheen and tinted powder foundation launched. • Estée Lauder introduces Re-Nutriv skin cream. • Helena Rubinstein launches the Mascara-matic, the first commercially successful mascara tube and wand applicator. • Max Factor introduces Cup of Youth hormone skin cream and Hi-Fi lipsticks. • Maybelline introduces self-sharpening eyebrow and eyeliner pencils. • Revlon launches Liquid Asset, a two-phase liquid to normalise both dry and oily skins; and High and Dri, a roll on deodorant. • Richard Hudnut begins selling Du Barry Creme Mascara. • American Electrology Association founded. • The first CIDESCO Diploma issued. • Cyclax introduces Mainly for Men range. • Helena Rubinstein releases Tree of Life, a placental cream. • Maybelline introduces Magic Mascara, the first filament twisted (spiral) brush automatic mascara. • Max Factor introduces Facial Bath a liquid facial cleanser and the Mascara Wand, the first refillable automatic mascara. • Revlon introduces the Princess Marcella Borghese line; Thin Down, tablets for weight reduction; Wonder Base, a base coat; Living Curl, a hair spray and Roll-On Mascara an automatic mascara. • Richard Hudnut releases Du Barry Elixir Natale and Du Barry Creme Natale containing placental extract; Du Barry Cloudsilk Pearled Face Powder; Du Barry Royal Lipstick, Du Barry Royal Shampoo, Du Barry Royal Creme Rinse, and Du Barry Royal Hair Conditioner each containing royal jelly; and Du Barry Penetrating Cleanser with enzymes. 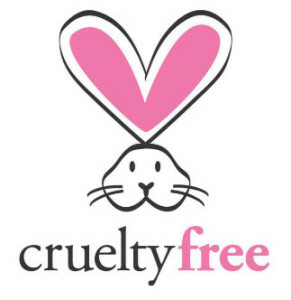 • Beauty Without Cruelty founded by Lady Muriel Dowding (U.K.). • International Federation of Societies of Cosmetic Chemists (IFSCC) formed with Maison G. deNavarre as President. 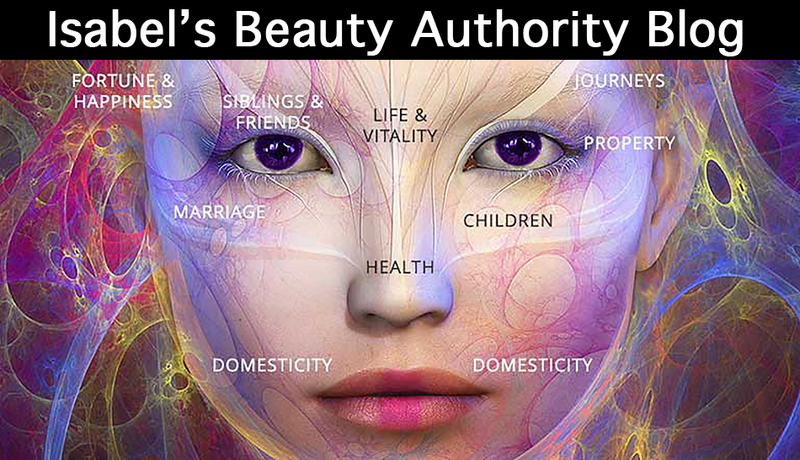 • Japan Cosmetic Industry Association established. • Ambre Solaire goes on sale in the U.K.
• Max Factor introduces Active Moisturizer, Translucent Creme Puff and Translucent Face Powder. • Northam Warren develops Cutex Delicate Lipstick and Cutex Mira-base base coat. • Revlon releases Ultima, a face cream, the first product in the Ultima line. • Richard Hudnut introduces Lip Quick the first ball-point, roll-on lipstick. Is Dandelion a weed or an amazing healer? Would it surprise you to learn that sweet dandelion, considered common to most, has been one of man kind’s most valuable botanical through out the ages? Dandelion Taraxacum officinale is a highly valuable food and herb which is ideal for gently cleansing and supporting the liver and digestive system. It is likely that the dandelion traveled to North America upon the Mayflower, carried carefully here as a prized medicinal herb. All parts of dandelion are edible and medicinal. 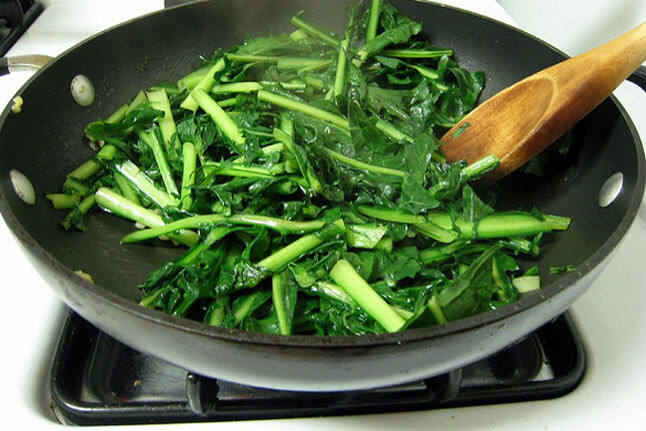 The leaves, which may be gathered in early spring, are highest in Vitamin A of all greens. 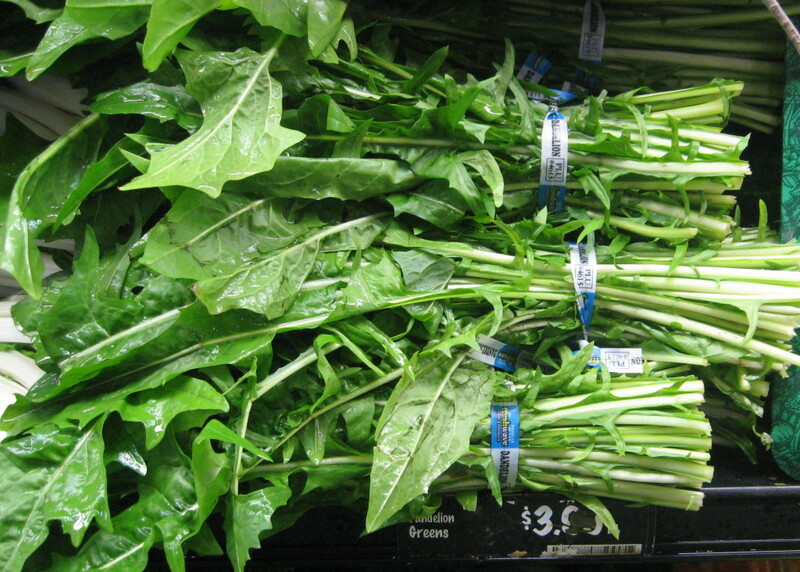 Highly nutritious with slightly bitter flavor, dandelion leaves are a cholagogue. Cholagogues stimulate bile production, and prime the digestive system. Bile assists in the absorption and break down of dietary fats. This is a wonderful help with our modern diets and a meal of fresh dandelion greens will deeply nourish and help remedy the ill effects of rich and over processed foods. Heat oil in a 12-inch heavy skillet over medium heat until it shimmers, then cook garlic and red-pepper flakes, stirring, until pale golden, about 45 seconds. Increase heat to medium-high, then add greens and sea salt and sauté until coated with oil and heated through, about 4 minutes. It’s very important that you make certain that your dandelions have not been sprayed with harmful herbicides. Try your hand at foraging and gather them from an unsprayed yard or wild place. Or purchase them organically grow from your local green market. Embrace dandelion’s bitter flavor as that is part of the key to her medicinal properties. The bitterness stimulates saliva production~ it makes your mouth literally water. The enzymes in your saliva begin the digestive process and kick start the production of digestive enzymes in your stomach. This insures that you will absorb dandelions many minerals and nutrients! 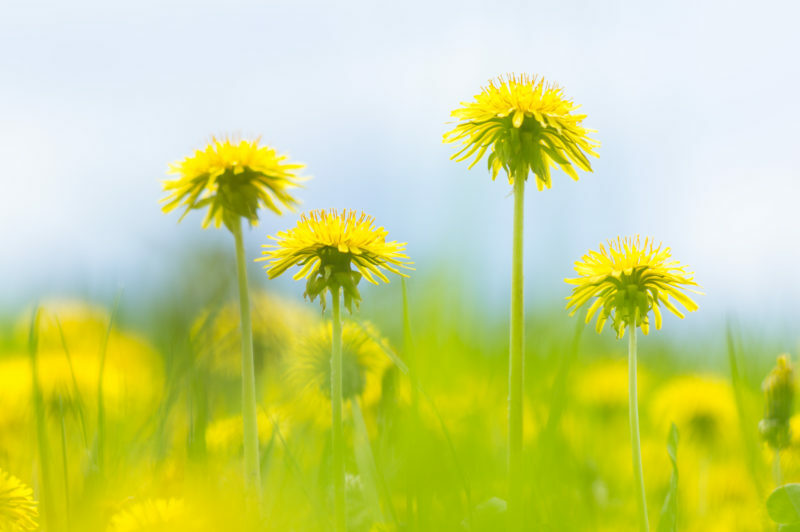 Dandelions are rich in Vitamins A,C,D and B complex as well as minerals such as iron, magnesium, beta-carotene, zinc, potassium, manganese, copper, calcium, boron, silica and choline, of all foods, after cod-liver oil and beef liver phosphorus and the B vitamins, thiamine and riboflavin, and are a good source of protein.How wonderful and supportive for our bodies~ especially helpful forsupporting beautiful skin, hair and nails! Dandelion contains protein too, more than spinach. It has been eaten for thousands of years and used to treatanemia, scurvy, skin problems, blood disorders, and depression. Vogel, and Marei (Hobbs 1985) indicate that dandelion is also rich in micronutrients such as copper, cobalt, zinc, boron, and molybdenum, as well as Vitamin D.
Much of what dandelions purportedly do in promoting good health could result from nutritional richness alone. 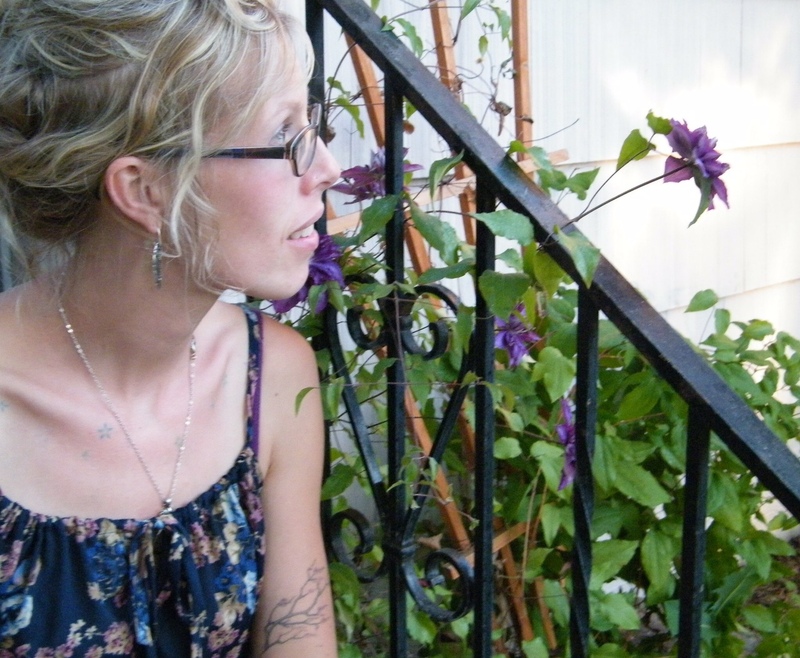 Vogel considers the sodium in dandelions important in reducing inflammations of the liver. Dandelion flowers have such a sweet and cheery disposition, they always make me very happy when they blossom in the early spring sunshine. Dandelion belongs to the Areacea ( Sunflower) family. Dandelions have compound flowers which means that the flowering heads of Dandelions are actually made up of many small ray flowers. Each of what we may think of as a petal are in fact individual flowers! The bees and butterflies love dandelion blossoms, they are a wonderful source of nourishment for our very important pollinator species. Even though some people shudder to think of inviting dandelion to grow in their lawns, they may be surprised to learn that dandelion actually helps to aerate a grass lawn and brings nutrients and minerals to the plants which it grows near. Dandelion actually helps the grass! Dandelion flowers can be made into teas and wine, jellies and syrups, infused into oils for sore muscles, and made into an infusion to nourish the skin and cleanse the hair. 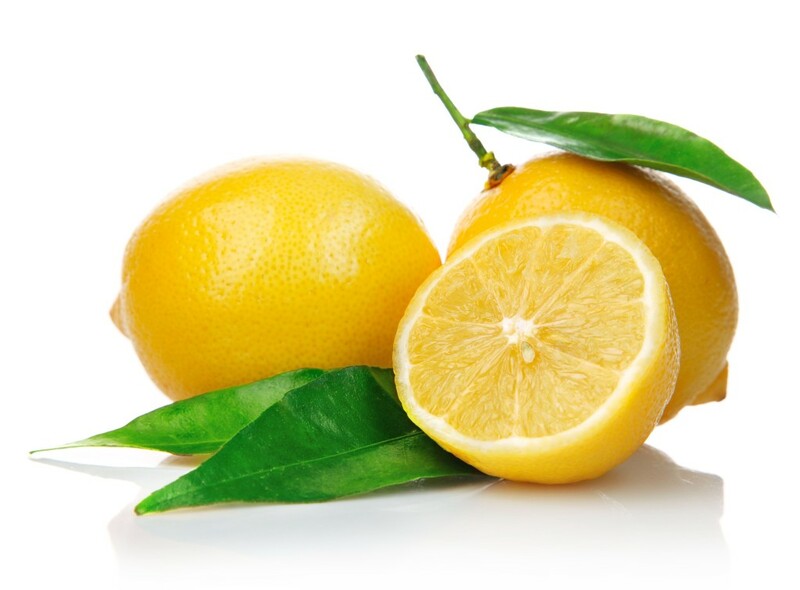 It is high in vitamin c and has a sweet and sunny flavor. I made a batch of dandelion Jelly this past springtime and it was truly a delight to all those who tasted it. People were so curious to try it and said it tasted of honey and springtime. I love eating young dandelion greens fresh in a salad. And really, you can make the salad however you want. 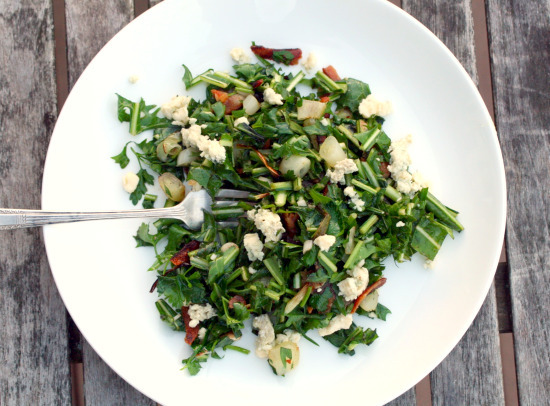 I often combine young dandelion greens with other lettuces like spinach for a delicious mix. anything else that sounds delicious! I always use a basic olive oil and red wine vinegar dressing on my salads (which is cheap and low in calories). Remember, dandelion greens are best eaten raw before they produce a yellow flower. 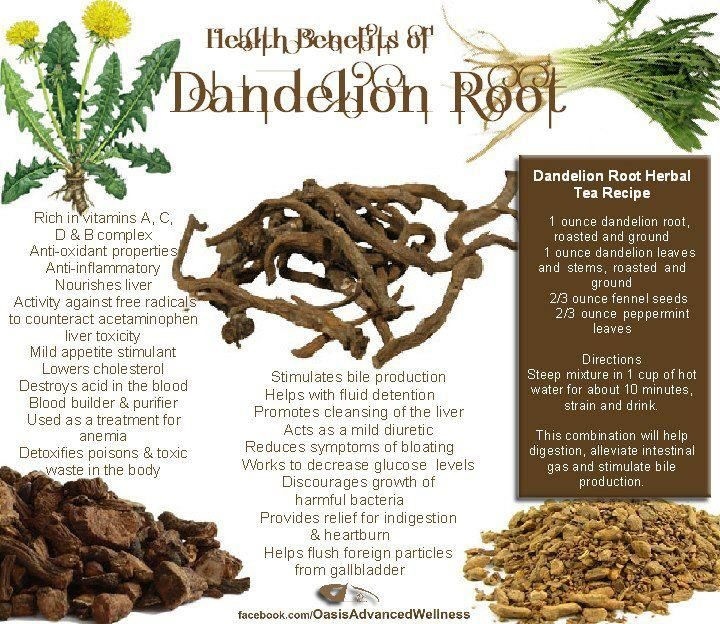 Dandelion root is incredibly valuable as a liver tonic. Roasted and dried it makes a wonderful tea, great for digestion, overindulgence and helpful for clearing skin maladies of all sorts. The dandelion has a deep tap root which extends down into the soil and pulls minerals to the surface of the soil. The root itself has the highest concentration of minerals. I love to gather all parts of the dandelion to make a dandelion compound maceration, also known as a tincture. This extract will, allow you to enjoy dandelions gifts year round. Using the whole plant is the best way to enjoy her gifts. All the above curative functions, and more, have been attributed to one plant known to everyone, Taraxacum officinale, which means the “Official Remedy for Disorders.” We call it the common dandelion. It is so well respected, in fact, that it appears in the U.S. National Formulatory, and in the Pharmacopeias of Hungary, Poland, Switzerland, and the Soviet Union. 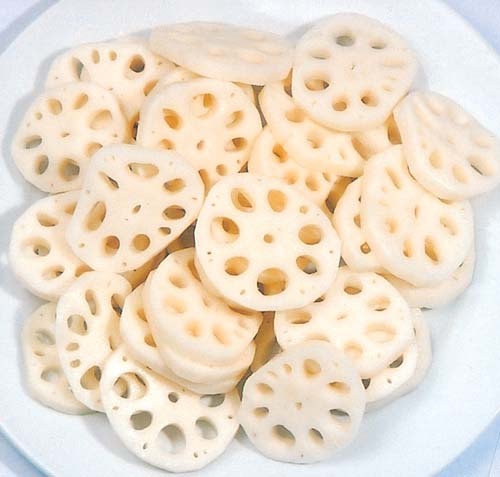 It is one of the top 6 herbs in the Chinese herbal medicine chest. The fresh juice of Dandelion is applied externally to fight bacteria and help heal wounds. The plant has an antibacterial action, inhibiting the growth of Staphococcus aureus, pneumococci, meningococci, Bacillus dysenteriae, B. typhi, C. diphtheriae, proteus. The latex contained in the plant sap can be used to remove corns and warts. Dandelion is also used for the treatment of the gall bladder, kidney and urinary disorders, gallstones, jaundice, cirrhosis, hypoglycemia, dyspepsia with constipation, edema associated with high blood pressure and heart weakness, chronic joint and skin complaints, gout, eczema and acne. As a tonic, Dandelion strengthens the kidneys. 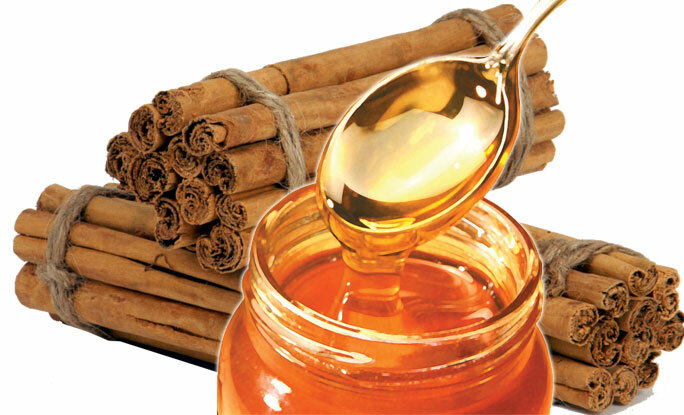 An infusion of the root encourages the steady elimination of toxins from the body. Dandelion is a powerful diuretic but does not deplete the body of potassium. Research is revealing that the many constituents of Dandelion including Taraxacin, Taraxacoside, Inulin, Phenolic acids, Sesquiterpene lactones, Triterpenes, Coumarins, Catortenoids and Minerals, mainly Potassium and calcium, are very valuable in curing a number of disorders and Health challenges . Dandelion is traditionally used as a tonic and blood purifier, for constipation, inflammatory skin conditions, joint pain, eczema and liver dysfunction, including liver conditions such as hepatitis and jaundice. When placed in a paper bag with unripe fruit, the flowers and leaves of Dandelion release ethylene gas ripening the fruit quickly. A liquid plant food is made from the root and leaves. A dark red dye is obtained from Dandelion root. A cosmetic skin lotion made from the appendages at the base of the leaf blades distilled in water, is used to clear the skin and is effective in fading freckles. Dandelion is a very easily grown plant, it succeeds in most soils. It becomes quite large when cultivation, the leaves reaching a foot or more in length. Dandelion is often cultivated as an edible salad crop and as a medicinal herb plant. Here are some great Dandelion products. Just click the image to purchase. 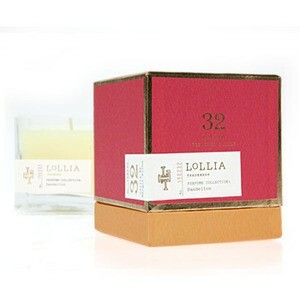 Let the scent of summer overwhelm your senses with the Lollia Dandelion No. 32 Poetic License Candle. Pores play a vital role in skin physiology. After all, without them we’d have nowhere for hair to grow out of, no method for skin oils to reach the surface, protecting skin from environmental dehydration, perspiration and oxygenation. Technically speaking, the pore is little more than the opening of the hair follicle onto the surface of the skin. The source of the hair follicle lies deep within the dermis. Midway up the dermal layer, the sebaceous oil gland empties into the hair follicle. Both skin oil (sebum) and the hair reach the surface through this tiny aperture. Wherever there is a hair, there will be a pore. As well as excreting wastes, the pores of the skin were thought to be the openings through which the skin breathed and absorbed ‘skin foods’ from masks, creams, lotions, aside from oxygen, making them even more important to the health of the skin. We now know that the dark tip of a blackhead is not dirt but is a build-up of dark melanin granules, and that the degree of pigment relates to the amount of general skin pigmentation, so it is absent from comedones of albinos and very dark in heavily pigmented skin. Quite exclusively, hormones have the control to regulate the oil glands that produce the sebum (oil), which moves through the lining of each pore and the onto your face. With normal oil production, the oil easily flows through the pore lining and out of the pore, imperceptibly spreading over the skin’s surface. The challenges arise when your oil glands make too much oil. This excess oil mixes with other substances (such as dead skin cells) in the pore to form a clog. This clog makes it difficult for the oil to flow freely, which causes the pore itself to enlarge. In the nineteenth century, no advice on how to achieve a flawless complexion would be complete without mentioning the skin’s pores – closing them, preventing blockages and clearing them when they became clogged – the most visible manifestation of problems being the appearance of unsightly ‘blackheads’. The need to clear the pores was more than cosmetic. Pores were regarded as openings through which a good deal of ‘waste and refuse’ left the body so a person’s overall health could be affected if they were blocked. The healthy condition, you are aware, not only of the skin itself, but of the whole body, depends on the healthy state of the pores or moisture-pipes, by which a large proportion of the waste and refuse of the body escapes in the form of insensible perspiration. Now, this refuse that comes to the skin, with the intention of obtaining a free passage by the pores, must be stopped there, if the pores are shut or obstructed, and, of course, an eruption will be the natural consequence, if the refuse, as is often the case, is not carried inwards again by the absorbents, in which case, an internal problem will be the result. As well as excreting wastes, the pores of the skin were thought to be the openings through which the skin breathed and absorbed ‘skin foods’. Unfortunately, when early beauty specialists referred to skin pores they sometimes conflated the openings of two fundamentally different skin structures – sweat glands and sebaceous glands – and this meant that they often mixed up the functions of each. On every square inch of the skin there are hundreds and hundreds of little openings, through which the perspiration finds an exit, or in which the hairs are planted. These openings lead to short canals which descend into the true skin. Besides the perspiration, the sides of these canals secrete a fatty substance which gives to the skin its oiliness and smoothness. Despite what may have been thought in the past, the pores of sweat glands are generally too small to be seen with the naked eye and usually do not become blocked. This contrasts with the larger, funnel-shaped openings of the sebaceous glands which are often visible in places such as the nose and cheeks. 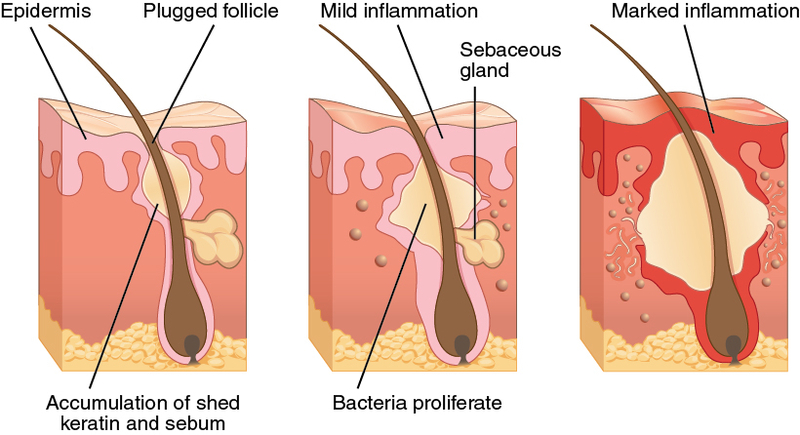 The conflation of sweat and sebaceous glands was by no means universal and by the twentieth century most beauty experts had concluded that the oily, sebaceous glands were the main problem when it came to enlarged pores, and that blackheads formed when dirt and grime collected in these pores. Cleansing the skin was therefore considered to be the most important part of any blackhead treatment. 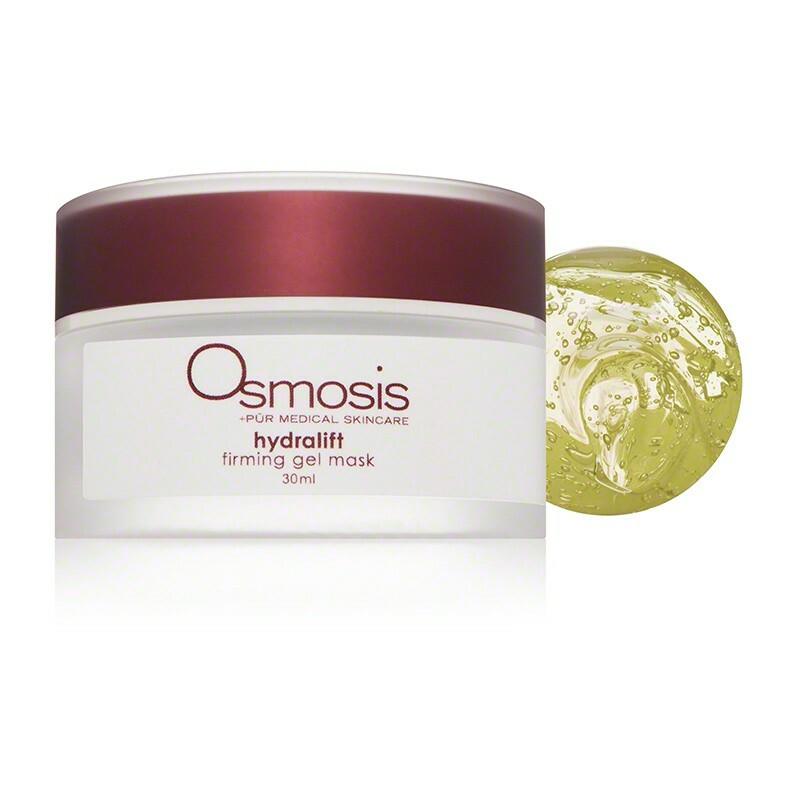 The face has innumerable oily follicles which are provided to keep the skin soft and flexible. If these are for any reason stimulated to too great activity, they make the face shiny and greasy. If the skin is not thoroughly cleansed when the face is washed, the dirt accumulates in these little follicles and by its presence stimulates each gland to renewed activity. Little by little the gland becomes distended and a tiny plug is formed, which, if it remains, will cause still further irritation and will result in a pimple. 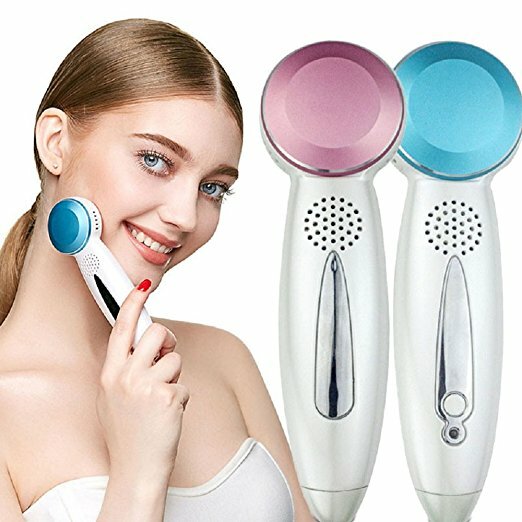 It will thus be seen how great is the necessity of keeping the face perfectly clean, in order to prevent the formation of blackheads. Early beauty experts often talked about ‘clogged’, ‘stagnant’, ‘sluggish’ or ‘congested’ skin when discussing the subject of blocked pores and blackheads. This reflects the belief that clogged pores were a symptom rather than a cause, and that the condition would only be resolved in the long run by improving the skin tone, getting the pores to function properly, and/or boosting the general health of the skin. Coarse pores are the result of a lack of tone in the skin. The pore openings are distended by effete matter which the pores are too sluggish to expel completely. For this reason, thorough cleansing is necessary to correct this fault and prevent blackheads and infections from developing in the languid pores. 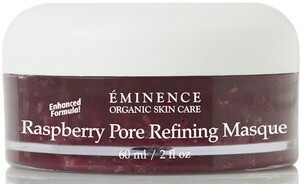 The thinking behind this viewed the relationship between the pores and the skin as two-way. The build-up of wastes in the skin caused by ‘clogged’ pores could ‘stagnate’ the blood circulation and make the pores ‘sluggish’, thereby making the skin ‘congested’ and exacerbating the original problem, making it even more difficult for the pores to function properly. Consequently, cleansing was often accompanied by massage or patting to improve skin circulation, and/or astringents or ice to improve the tone of the skin, stimulate it and close pores. In addition, exfoliation – through the use of a rough towel, flesh brush or an exfoliant like almond meal – was frequently recommended to deep cleanse the skin and remove any surface impediments to the free flow of material from the pores. 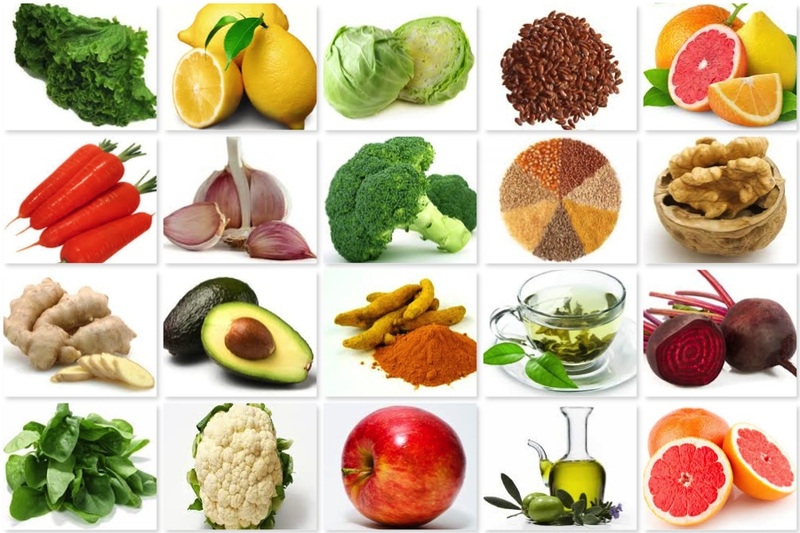 Astringents primarily concern the pores of the skin. 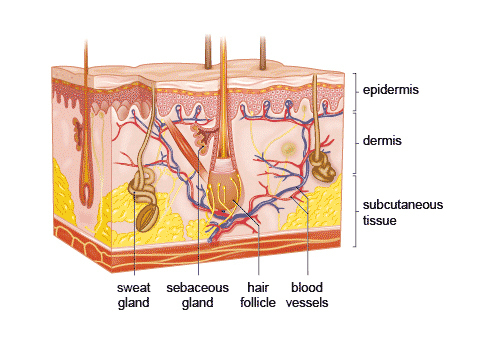 The pores are the openings of the sweat glands—very often too obviously open. When the pores are enlarged, the skin becomes coarse and invariably suffers from bad circulation of the facial blood vessels. To improve the circulation, follow the cleansing process with a stimulating treatment by patting the fleshy parts of the face with cool water or astringent. 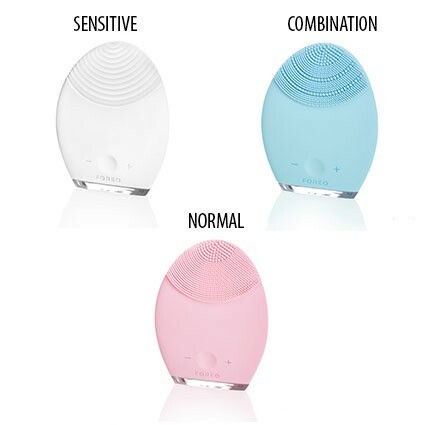 It is essential to keep the pores free from dirt and dust during the day. Continued applications of soap and water are apt to aggravate the inherent coarse texture of a skin suffering from enlarged pores, aside from the ingredients of most soaps are clogging to the pores, not to mention the wrong PH. The use of a good exfoliator and an astringent is a must. The enlarged pores are most obvious on the cheeks and around the nose. Apply the astringent generously but not too vigorously to the nose, and more energetically to the cheeks. Besides stimulating the activity of the pores, astringents and cold water assist the muscles to contract. This contraction makes the skin firmer and helps the glands to perform their duties of cooling the body and lubricating the skin. As well as improving the over-all tone of the skin, many beauty writers erroneously thought that astringents would have a direct effect on pores which they believed were opened and closed by muscles that could also be toned or tightened. Nowadays we are all at least superficially educated in the principles of beauty culture and know enough to keep our skins clean externally; it is, therefore, palpable that the clogging of the pores which produces what we call blackheads is from within rather than without. The pores of the skin are tubes which are intended to carry off acids, moisture, etc., etc., from the body, and their orifices have the power of opening and shutting. Along with cleansing, massaging and toning the skin to control enlarged pores, specific treatments for blackheads, if they were present, were included in beauty treatments. 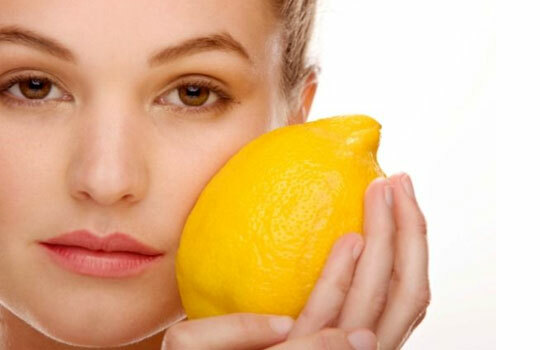 Extractions: Although some beauty writers advised against it altogether, if the ‘dirt’ in the blackhead could not be removed by cleansing, then pressure could be applied to the skin to ease the blackhead out. 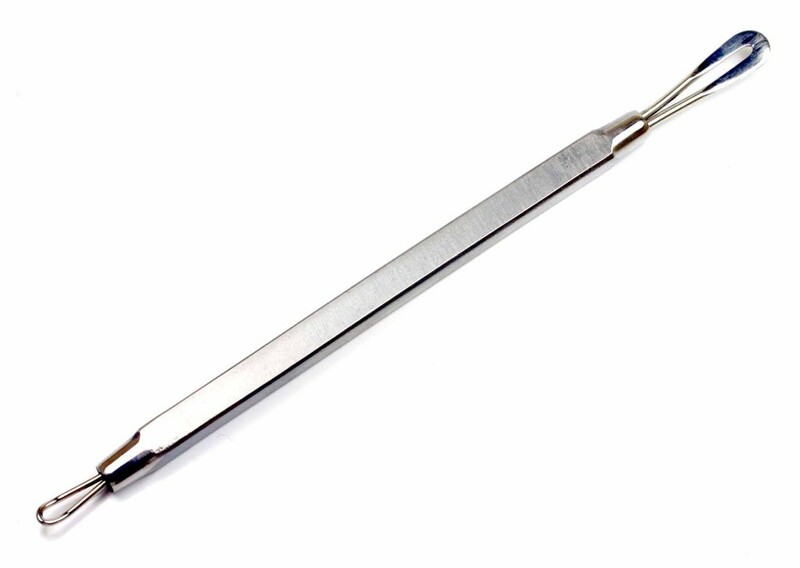 Given the possibility that the skin might be bruised during this treatment many beauty experts recommended the use of a comedone extractor or a watch-key instead of the finger nails witch can bruise or scar the skin. If they are too large to yield to such treatment, then they can be removed by a watch-key or a comedone extractor, which is very like a watch-key. It should be placed carefully, so that the Comedone comes in the centre of the aperture and then firm and gentle pressure should be made, until the little worm-like contents of the sebaceous follicles are expressed. One should avoid irritating the skin too much; if there are very many blackheads and they are close together, it is better to wait a day before repeating the process. Steaming: Before extracting blackheads it was common practice to first steam the face, supposedly to open the pores and soften the plug so that extraction would be easier. The general method is to steam the face until every unimpeded pore is in an active condition, and the contents of the inactive ones are softened. Then gently press the spots with the end of a hollow watch-key which has a broad rim around the opening, when the little plugs will come to the surface with no surrounding irritation. The bare finger-nails are said to bruise or greatly irritate the skin. Anoint each spot as soon as it is cleared with an astringent like witch hazel. The warm humidity from steaming may also increase perspiration and stimulate blood circulation. As the body’s natural cooling system, sweat consists mostly of water, but it’s also mixed with a small amount of your body’s wastes and toxins so that you can wash them away. And increasing your circulation in your facial skin can help to give you a warm, colorful glow. 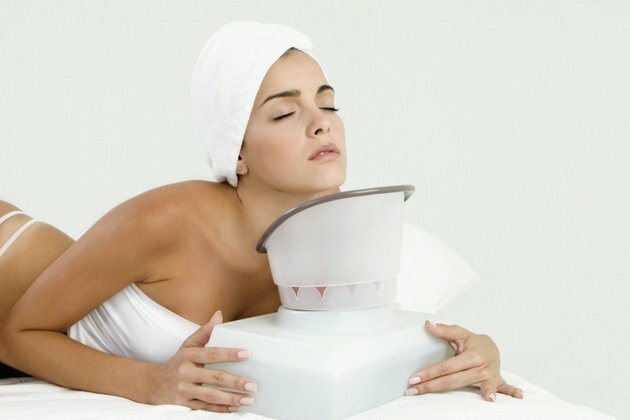 However, if you have certain skin conditions that are aggravated by sweating or increased blood circulation, such as rosacea or a fungal infection, then facial steaming may do more harm than good for you [sources: American Academy of Dermatology]. Those that preached against this practice generally did so because they thought that steaming relaxed the skin, causing it to stretch – the opposite effect to that produced by an astringent – which led to enlarged pores and wrinkles; or that it robbed the skin of oils leading to premature aging. Steaming your face might seem simple enough, but there’s a right way and a wrong way to go about it. 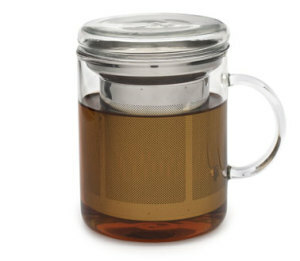 If you’re ready to try facial steaming, the first thing you need to look out for is the water’s temperature. Ideally, most professionals use temperatures at about 110 degrees Fahrenheit (43 degrees Celsius). If you aren’t cautious and get too close to the hot steam, you could scald your skin, which can leave behind a scar. Slowly get closer to the steam, but don’t get too close — some professionals advise getting no closer than 12 inches (30 centimeters), but others say 18 inches (45 centimeters) is close enough. If you let too much heat get near your skin, the increased blood flow could lead to broken capillaries under your skin. Knowing the potential dangers, you’re ready to start the steaming. First, wash your face so that your pores are free to release any impurities without built-up dirt or makeup blocking the way. 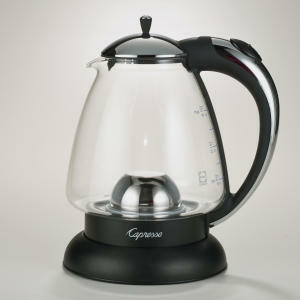 Prepare your facial steaming equipment as directed if you have any, or if not, boil some water and pour it into a bowl. Use a towel as a tent for both the bowl and your head. Lean your face over the steam for about five to seven minutes. Many profesionals choose to add in different herbs or essential oils — such as lavender, rosemary, peppermint or ylang-ylang. 1 Stop using skin-care products that clog pores or cause your oil glands to produce more oil. You must avoid products that are too emollient (meaning thick or greasy creams) or that have a creamy texture, as many moisturizers do. If you have oily skin, creamy, emollient skin-care products will lead to clogged pores. 2 Avoid products with drying, irritating ingredients. 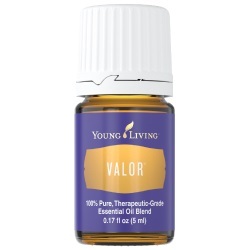 Irritating products stimulate more oil production directly in the pore. 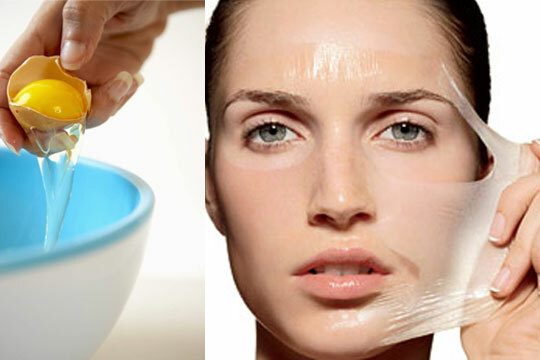 Learn how irritating skin-care ingredients make your oily skin oilier! 3 Use only gentle, water-soluble cleansers and avoid bar soaps. Drying cleansers hurt the skin’s healing process, making red marks from blemishes last longer. If a cleanser causes irritation, it can stimulate more oil production. Regarding bar soaps: The ingredients that keep bar soap in its bar form can clog pores. 4 Use a salicylic acid (BHA) exfoliant, in gel or liquid form, with absolutely no extraneous irritating ingredients. Gently exfoliating skin with a BHA can both remove excess skin cells from the surface of the face (so they don’t build up in the pore) and exfoliate inside the pore (to improve its shape), allowing for a more even flow of oil. 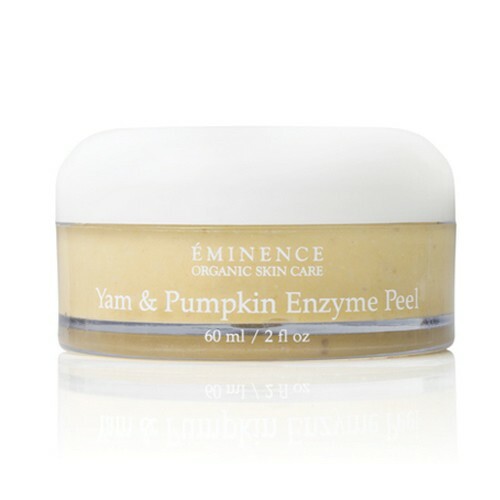 Antiaging bonus: This step also reduces wrinkles and builds collagen! BHA is preferred to AHAs (alpha hydroxy acids, such as glycolic acid) because BHA exfoliates not only on the skin’s surface but also inside the pore, where the clogs form. Paula’s Choice BHA products get rave reviews; click here to find the best one for your skin type. 5 Absorb excess oil. 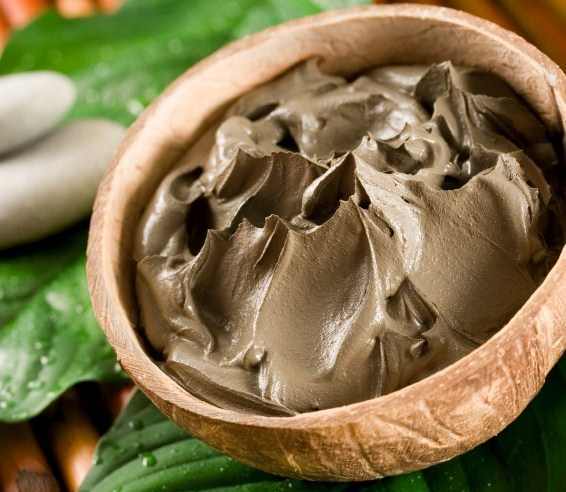 Clay masks can be great at absorbing oil and are an option, as long as they do not contain other ingredients that are irritating. Some cosmetics companies also Pores and black heads offer oil-absorbing products to be worn under makeup; these are definitely worth trying to absorb oil all day long. A oil-absorbing product like Shine Stopper Instant Matte Finish with Microsponge Technology is an excellent choice, and you can visit Beautypedia Reviews to find other options. 6 Improve cell production to help the pore function more normally. Effective products for all skin types are prescription retinoids, such as Retin-A, Tazorac, Avita, Renova, and Differin. These can be used by themselves or with a BHA product. Research has definitely established that Retin-A, Renova, and Differin have positive effects on the way pores function, and you should consider these products for very stubborn cases or when blackheads are accompanied by breakouts. Retinoids have anti aging benefits, too, so they’re great for those struggling with blackheads, large pores, and wrinkles. 7 Use products loaded with antioxidants and cell communicating ingredients to help heal skin and reduce wrinkles. Giving skin the important ingredients it needs to look and be healthy is critical, but the trick for those with blackheads and large pores is to use only products with a gel, liquid, or very thin serum texture. A well-formulated toner may be all you need twice a day to take care of this need. 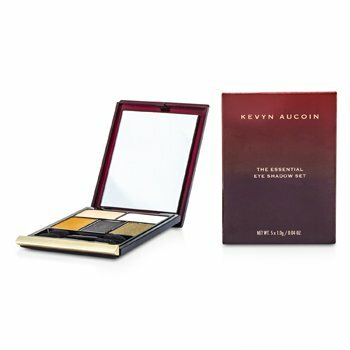 Some great products for pores. Click on the image to purchase product. Liver and spleen function together by assisting each other. However, people are always quick to point out that an excess of liver wood can injure the spleen earth, and thus have a detrimental affect on the proper digestion of food. But nobody seems to pay attention to the fact that a weak liver cannot circulate the spleen qi and thereby also cause maldigestion. Below, the liver connects to the Sea of Qi [lower dantian, associated with the kidney], which means that the liver is closely associated with the body’s ministerial fire. It can utilize the power of this fire to produce earth. The food which enters the spleen and stomach relies on this power to be ‘cooked.’ This is what is meant by saying that the liver and the spleen function by assisting each other. The essence of sleep, after all, is the soul of the body. If you can manage to sleep without over doing it , then the master mind will be bright and alert. Not only will your shen qi be flowing freely and purely, but you will also not be disturbed by dreams. Every time you are overcome by a craving for sleep, blood rushes to the heart and the original shen is forced to leave its abode. Emotions such as anger, embarrassment, or unexpected joy can also increase blood flow, causing the ears and face to turn red. In situations when less blood is needed, it is “stored in the liver,” which thus assumes a warehouse-like function. The actual storage of blood is done in the penetrating vessel, one of the eight extraordinary vessels that extends from the lower dantian to the head; this vessel is often considered to be part of the liver network. The liver is best compared to a managing clerk, who moves goods in and out of the warehouse as they are needed. Hair is also associated with the liver blood: it is called the “surplus of the blood” (xue yu). The rich liver blood of females is expressed in lush, long, and fast growing hair on the head; males have more facial and body hair, which is governed by the qi organ, lung. Dry and brittle hair can be an indication of liver blood deficiency, while hair that suddenly falls out (alopecia) is usually because of both deficiency of blood and impeded flow of liver blood to the head, usually due to sudden emotional trauma. The eyes are nourished by the essence of all five organ networks, and thus differentiated into five organ specific zones which may reveal important diagnostic information. 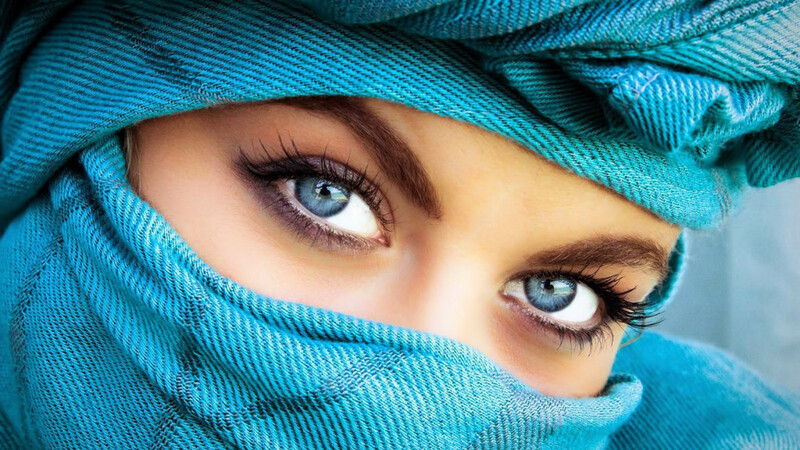 The eyes as a whole, however, represent the opening of the liver, and are thus considered to be more closely linked to the liver than to any of the other organ networks. “Liver qi communicates with the eyes,” states the Neijing, “and if the liver functions harmoniously, the eyes can differentiate the five essential colors….If the liver receives blood, we can see. The liver channel branches out to the eyes. Both liver qi and liver blood flood the eyes to maintain proper eyesight. A person’s eyesight may therefore also serve as an indicator for liver function. 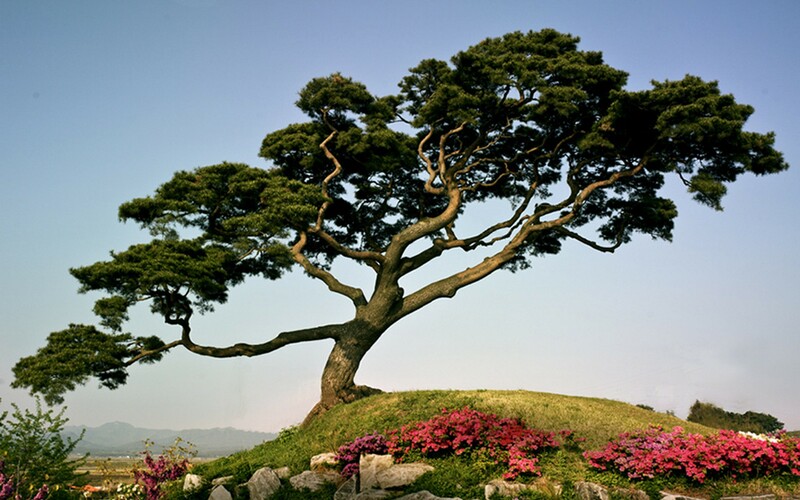 The Liver Loses Its Ability to Course and Drain: if qi gets stuck, the inhibited coursing action of liver qi immediately manifests in the form of mental and emotional symptoms; depression, sensation of emotional pain, or crying are typical examples. If liver qi flares up and upsets the harmonious interplay between body and mind, outbursts of anger, or pain and distention in the sides of the chest may result.Typical signs of a liver qi disorder implicating the neighboring spleen/stomach system are belching, regurgitation of stomach acid, vomiting, and diarrhea. Liver Disharmony Reflecting on the Emotions and Mental Activities: a deficiency of liver qi typically causes a person to be indecisive and adrift, with a marked inability to plan ahead effectively. If gallbladder qi is deficient, the person will be fearful, have a panicky disposition, and have difficulty making decisions.primary symptoms are tendency to get depressed; frequent sighing; impatient disposition and temper outbreaks; sensations of stuffiness; fullness or congestion in the chest, intercostal, or subcostal regions. Secondary symptoms include obstructed bowel movements; dry and distended eyes; feeling of something being stuck in the throat; self-doubts and crying; pain (especially intercostal and abdominal) that is characterized by moving, pulling, or penetrating sensations; in females; premenstrual breast distention; menstrual cramping and irregular menstruation. The tongue typically presents with a reddish body (especially at the sides) and a thin coating; the pulse tends to be wiry. According Circadian rhythms (Often referred to as the “body clock”, the circadian rhythm is a 24-hour cycle that tells our bodies when to sleep and regulates many other physiological processes. This internal body clock is affected by environmental cues, like sunlight and temperature. When one’s circadian rhythm is disrupted, sleeping and eating patterns can run amok) and the TCM (Traditional Chinese Medicine) meridian clock can greatly influence our body and our mind. These rhythms tell a practitioner a lot about a person’s general health and challenges .One of the easiest places to see this is with sleep patterns. Many people complain about always waking at the same time through the night. Traditional Chinese Medicine (TCM) meridian clock could give us great clues. If a person always wakes at 2:00 am, this is in the time of the Liver. The acupuncture meridians are an energetic system, or a kind of ‘electrical system,’ of our energy patterns. These meridians have often been said to be rivers of energy called Qi (pronounced Chee). The meridians might be in our body, but there is no specific anatomical part that makes them up. They are more like radio waves. The organ associated with a meridian, in this case the liver, is not the cause of the meridian; the organ is more or less a physical artifact, of the Qi of the meridian. 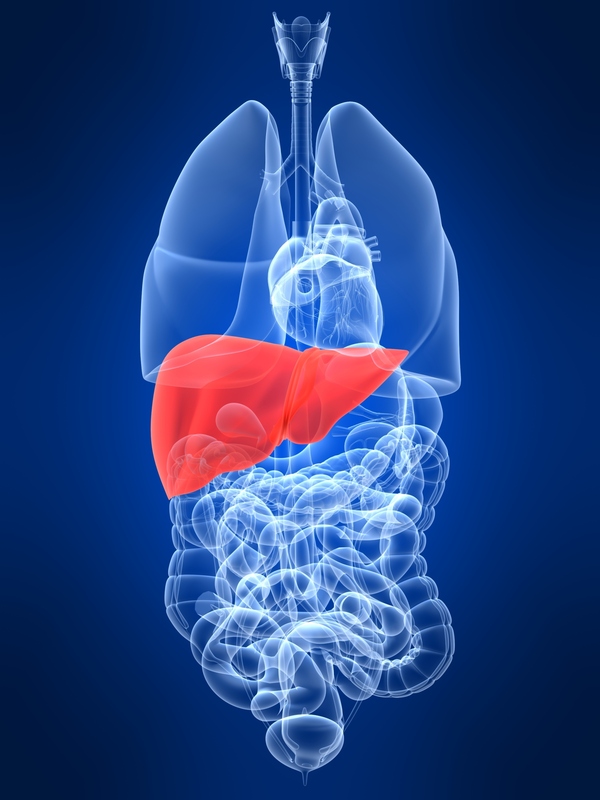 Simply, the Liver meridian’s energy pattern deals with much more than the physical organ of the liver. In Chinese Medicine there are 14 major meridians that conduct the flow of Qi throughout the body. Twelve of these meridians make up the 24-hour clock, with 2 hours each. The energy is constantly flowing through all of these meridians throughout the 24 hours, with each meridian having a 2-hour period of time as the primary meridian.s resistance or blockages (like stress) that reduce the flow of energy. This resistance also causes imbalance in the flow between meridians. Bring 2 quarts of water to a boil. Add taro root, leek, seaweed and salt. Allow mixture to boil for ten minutes. Add olive oil and let boil one additional minute. If you like the flavor of sesame oil, add a dash just before serving. 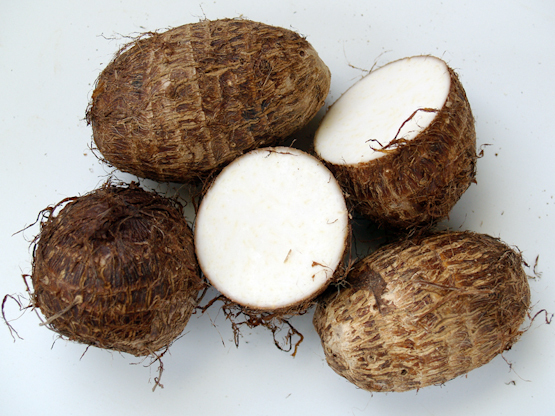 Tip: make sure you have enough water boiling to allow the taro root space to move while cooking. Do not let the taro root get mushy.